Tabor Shiles is an artist and educator in Chicago. Before moving here, she grew up outside of Philadelphia, going on to earn her BA in Printmaking at Savannah College of Art and Design where she also minored in Fibers. 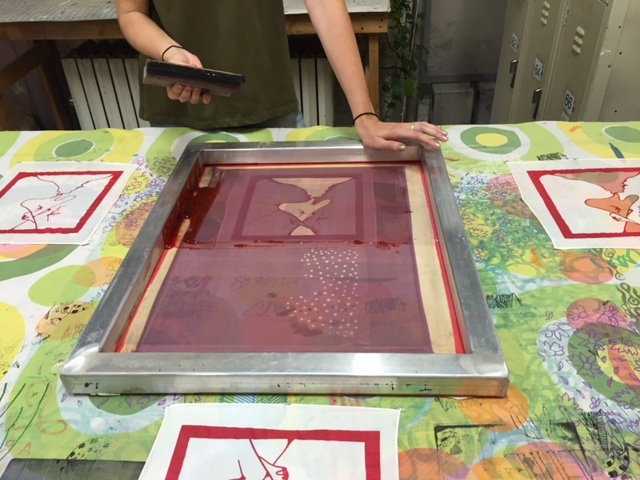 During her time in Chicago she has immersed herself in the print community. For the past year she has been the Artist and Resident at Lillstreet Art Center for Textiles, worked at local screen-printing shop Baker Prints, and has become the Director of the Chicago Printers Guild. Since moving to Chicago, her focus has primarily been screen printing onto textiles, with an emphasis on the figure and their relationship to the artist. Please contact if you have questions or are interested in collaborating.